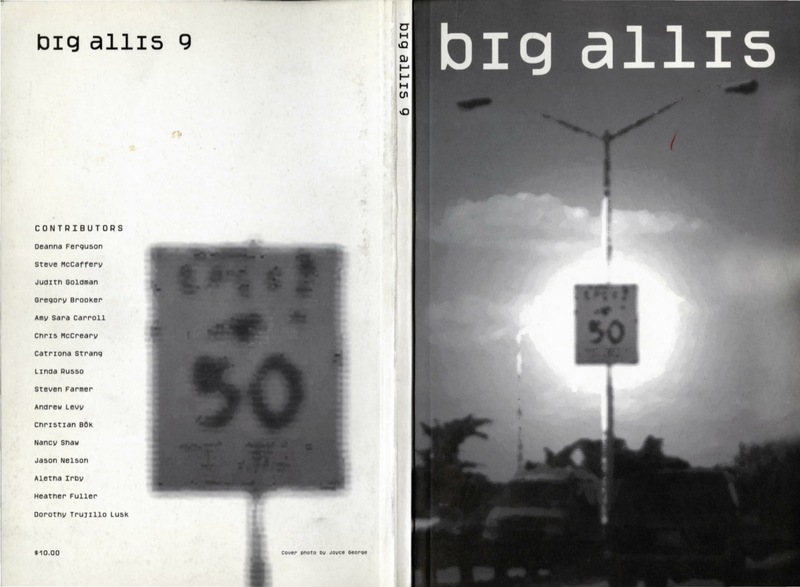 Founded in New York City by Melanie Neilson and Jessica Grim, Big Allis generated a dynamic forum for contemporary writing by emerging and established experimental poets with a specific focus on innovative poetry by women. The magazine published nine issues over its twelve year run. Grim co-edited the first seven issues with Neilson, who was then joined by associate editor Deirdre Kovac for the final two issues. 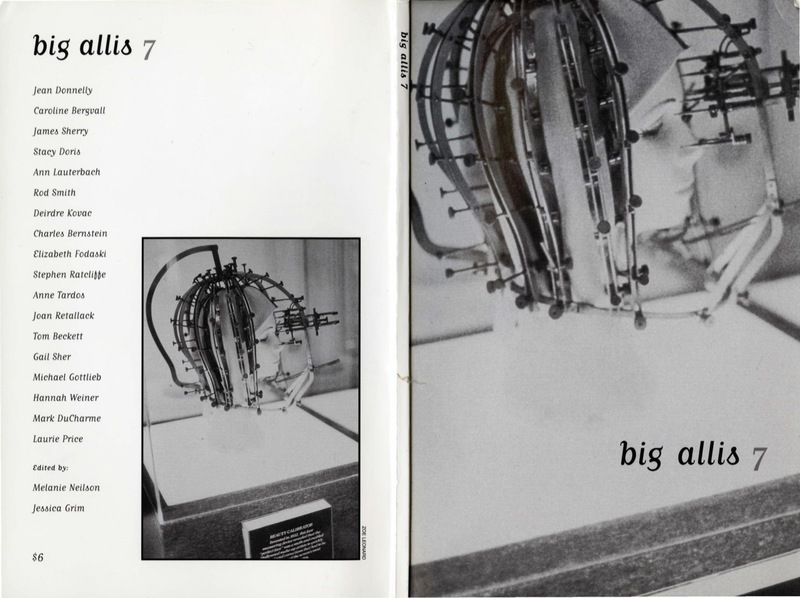 Tracing an exuberant range of language and post-language practices throughout the nineties, Big Allis sketches a decade of vibrant poetics radiating around NYC, the Segue Foundation, and the Ear Inn reading series. 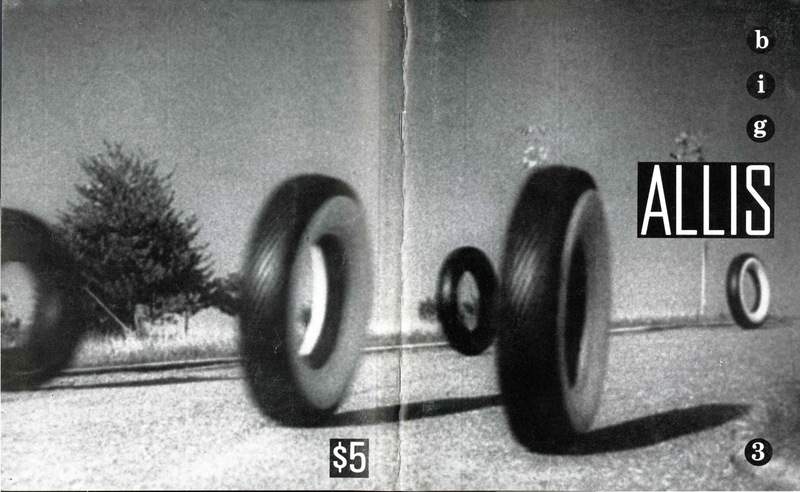 In the words of Bruce Andrews, the magazine offered “a rematerializing, multitorquing, postpatriarchal language-centered rebellion.” Like its supergenerator namesake, Big Allis conducts massive amounts of sheer energy in each issue — read as a whole, the magazine’s arc is nothing short of electrifying. While the first six issues were side-stapled with matte stock covers, the remaining three were perfect bound with glossy covers. 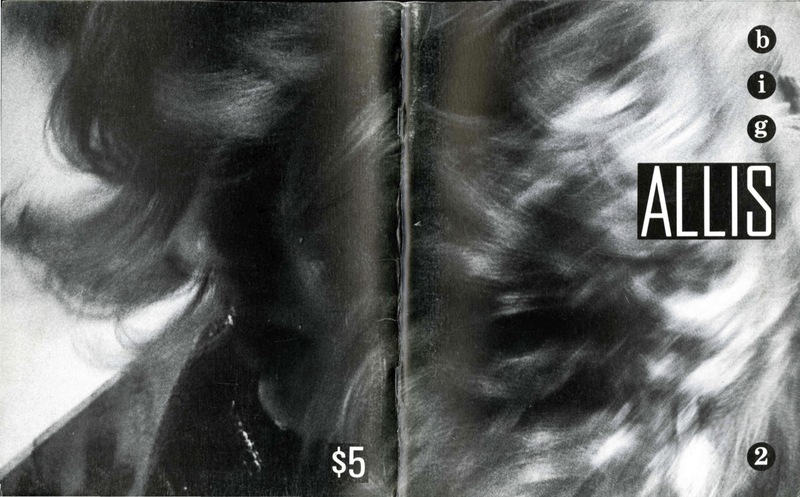 All covers were designed by Jean Foos, often using found and appropriated imagery. By following this link, you may find her commentary on the magazine alongside a series of recollections by editors Jessica Grim and Melanie Neilson, as well as contributors Bruce Andrews, Tina Darragh, Rob Fitterman, Lyn Hejinian, Jena Osman, Joan Retallack, James Sherry, and Rod Smith. Issues are available for browsing or download below. You may also download the entire set of nine issues here: ZIP, 133 MB. Download links for searchable PDFs of each issue follow. Original pagination noted in the contents, which retain the format of the original tables. Photograph by Hope Sandrow, Keiko. Frame enlargement from Elmar Klos film, The Highway Sings, 1937.
ditto Marcel Duchamp?/ditto ditto Gertrude Stein? 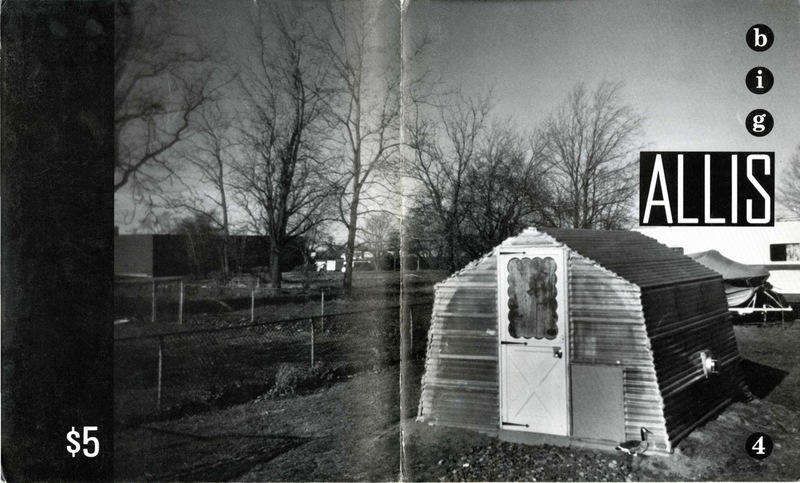 Photograph by Mary Foos, 1990. 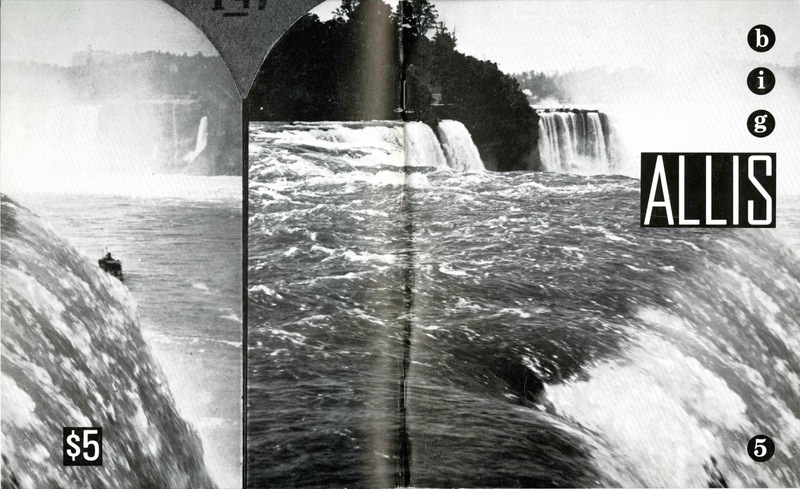 Detail of stereoscopic photo of Niagara Falls from the collection of Julie Weiss. 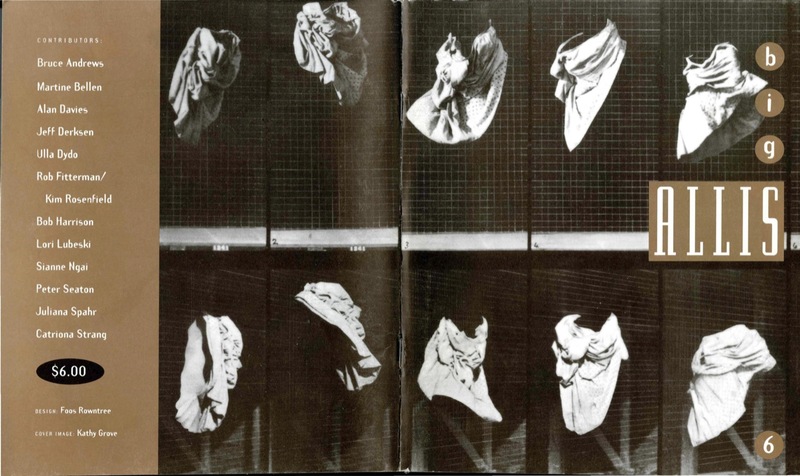 Kathy Grove, The Other Series: After Muybridge, 1990. Photograph by Zoe Leonard, Beauty Calibrator, Museum of Beauty, Hollywood, 1993. 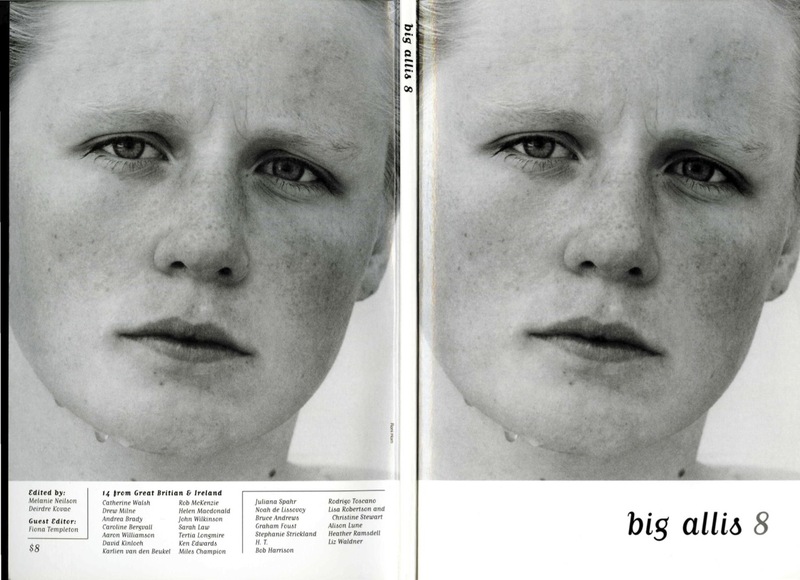 Photograph by Roni Horn, You Are the Weather, 1994-1995. 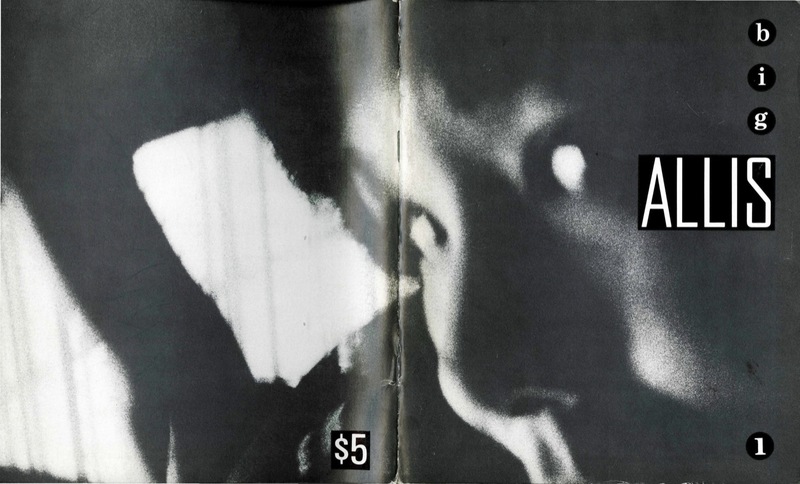 Digital photograph by Joyce George, Signpost, 1999. With special thanks to Melanie Neilson for supplying the full run of Big Allis and to Amelia Bentley for her tireless work on this release.